The occurrence of neurologic manifestations during 55 episodes of infective endocarditis (IE). The number of episodes is presented in relation to the onset of IE-associated clinical symptoms. The occurrence of neurologic manifestations during 55 episodes of infective endocarditis. The number of episodes is presented in relation to the initiation of antimicrobial treatment. Background Many previous studies have endeavored to find appropriate means to reduce the occurrence of neurologic manifestations in patients with infective endocarditis (IE). We evaluated patients with IE-associated neurologic complications and compared them with patients with IE who did not have neurologic symptoms. Particular attention was focused on assessing the impact of cardiac surgery and the presence of potential risk factors for complications on the outcome of the patients. Methods A total of 218 episodes designated as definite or possible IE according to Duke criteria and treated during the years 1980 through 1996 in a Finnish teaching hospital were retrospectively evaluated for neurologic manifestations. Results Neurologic complications were identified in 55 episodes (25%), with an embolic event as the most frequent manifestation (23/55; 42%). In the majority (76%) of episodes, the neurologic manifestation was evident before antimicrobial treatment was started, being the first sign of IE in 47% of episodes. Only 1 recurrent cerebral embolization was observed. Neurologic complications were significantly associated with Staphylococcus aureus infection (29% vs 10%; P = .001) and with IE affecting both the aortic and the mitral valves (56% vs 23%; P<.01), but not with echocardiographic detection of vegetations or anticoagulant therapy. Death during the acute phase of IE occurred in 13 episodes (24%) with neurologic complications and in 17 episodes (10%) without neurologic complications (P<.03). In episodes with neurologic complications, the IE-associated mortality rate was 25% (10/40) in the medical treatment group and 20% (3/15) in the surgical group. No neurologic deterioration was observed in these surgically treated patients postoperatively. Conclusions Our results reinforce the belief that rapid diagnosis and initiation of antimicrobial therapy may still be the most effective means to prevent neurologic complications. These data underscore the importance of diagnostic alertness to the prognosis of patients with IE. NEUROLOGIC complications of infective endocarditis (IE) most commonly occur as a result of embolization from endocardial vegetation, with resultant occlusion of cerebral arteries.1-5 An ischemic or hemorrhagic stroke or a transient ischemic attack (TIA) can then develop. Dissemination of infected embolic material into cerebral or meningeal vessels may also lead to meningitis or brain abscesses.1,3-6 More nonspecific neurologic manifestations associated with IE include headache, seizures, and toxic encephalopathy.1-5 Cerebral hemorrhage is the most dramatic, though fortunately rare, neurologic complication of IE. It can be caused by a rupture of a mycotic aneurysm even months to years after the IE has been cured.7,8 Clinicians should be aware of the wide variety of cerebral presentations in patients with IE, since these complications may constitute the first symptoms of the disease, thus provoking the suspicion of endocarditis. Despite many changes in the epidemiology, natural history, diagnosis, and management of IE, as well as the overall decline of mortality in patients with IE, the morbidity from neurologic complications has remained unchanged for years. Several series published during the last 3 decades have reported incidence rates of 20% to 40% for neurologic complications among patients with IE1,3,4,9-13 and mortality rates as high as 58%.3 Since neurologic manifestations are generally accepted as major determinants of poor prognosis in patients with endocarditis, many previous studies have addressed the challenges to predict, or even prevent, the development of these complications.14-17 We evaluated patients with IE-associated neurologic manifestations treated in a Finnish teaching hospital, with special emphasis on comparison with patients who had IE and no neurologic symptoms. Particular attention was focused on assessing the impact of cardiac surgery on the outcome of the patients and on analyzing potential risk factors for complications, such as vegetations on echocardiography and anticoagulant therapy. Between 1980 and 1996, a total of 234 adult patients were admitted to the Department of Medicine, Turku University Central Hospital, Turku, Finland, for 255 episodes of suspected or confirmed IE. The hospital is a 1100-bed teaching facility with a cardiothoracic surgical department, serving as a tertiary referral center for a population of 0.7 million in the southwestern part of the country. The disease episodes of the patients were retrospectively evaluated for the likelihood of IE using Duke diagnostic criteria.18 The hospital charts of the patients were assessed for various clinical characteristics, including the presence of predisposing heart conditions19 and intravenous drug abuse. New valvular regurgitant murmurs on heart auscultation and findings on echocardiographic examinations were also registered. Transthoracic echocardiography was performed at least once during each episode, followed by transesophageal examination in 96 cases. Data were collected on the presence of a temperature of 38.0°C or higher, the occurrence of specific vascular and immunologic manifestations suggesting IE,18,20 and the results of the blood cultures. Histopathologic and microbiologic findings of tissue specimens were registered for those patients who had undergone surgery or autopsy. Of all 255 disease episodes analyzed, the 218 designated as either definite or possible IE were assessed for neurologic manifestations. Comparison was made between episodes of IE in patients with and without neurologic manifestations regarding bacterial infection, valve involvement, echocardiographic findings, and the use of anticoagulant therapy on admission. Also, clinical outcome, embolic events outside the central nervous system, and cardiac and noncardiac surgical interventions were evaluated. The neurologic complications were classified into the following categories: (1) embolic brain infarction, (2) TIA, (3) cerebral hemorrhage, (4) meningitis, (5) brain abscess, (6) toxic encephalopathy, and (7) headache. An embolic brain infarction was considered present if the patient had a focal neurologic deficit that persisted over 24 hours and a positive finding at autopsy or on the computed tomographic (CT) scan of the head. A TIA was defined as focal neurologic symptoms or signs lasting less than 24 hours and when a CT scan was either not done or the result was normal. The patient was diagnosed as having cerebral hemorrhage in case of acute neurologic symptoms combined with a positive finding on the CT scan, at surgery, or at autopsy. Cases with ruptured mycotic aneurysms were included in this category. The diagnosis of meningitis required the presence of pleocytosis in the cerebrospinal fluid, but not necessarily positive findings in bacterial cultures. The diagnosis of a brain abscess required characteristic CT features of ring enhancement with surrounding edema or either a surgical or autopsy confirmation. Toxic encephalopathy was defined as mental changes or stupor without any focal neurologic signs and without CT abnormalities. Headache was designated as a neurologic manifestation only if it was severe and there was no indication of meningitis or apparent other cause. Data were analyzed with the χ2 test. P<.05 was considered statistically significant. Of the 218 episodes studied, 123 were designated as definite IE and 95 as possible IE. Included were the 206 disease episodes treated during 1980 through 1995 (for a detailed diagnostic classification, see reference 21). Of the 200 patients, 141 were men and 59 were women (age range, 19-84 years; mean ± SD age, 54 ± 15 years). One patient had a history of injecting drug abuse. The annual incidence of IE and associated neurologic manifestations was unchanged throughout the study period: a total of 19 neurologic manifestations (mean, 3.2 per year) were detected in association with 83 episodes of definite or possible IE between 1980 and 1985; 16 neurologic manifestations (mean, 3.2 per year), in association with 61 disease episodes between 1986 and 1990; and 20 neurologic manifestations (mean, 3.3 per year), in association with 74 disease episodes between 1991 and 1996. Neurologic complications were present in 55 (25%) of 218 episodes of definite or possible IE. A neurologic manifestation was the first sign of IE in 26 episodes (47%) and developed within less than 1 week after the beginning of other IE-associated symptoms in 16 additional episodes (29%) (Figure 1). The neurologic complication was evident before antimicrobial therapy was started in 42 episodes (76%) and manifested within 1 week of the initiation of therapy in 5 episodes (9%) (Figure 2). The distribution of neurologic complications given separately for the 38 episodes of definite IE and 17 episodes of possible IE is depicted in Table 1. Twenty-three neurologic episodes (42%) were thought to be caused by major cerebral embolisms. Of the 13 embolic brain infarctions, 9 were located in the region supplied by the middle cerebral artery; 2, in the region of the posterior cerebral artery; and 2, in the vertebrobasilar territory. Of the 10 patients with TIA, 6 had symptoms that were attributable to ischemia of the middle cerebral artery, and 4 had symptoms of impaired vertebrobasilar circulation. Only 1 recurrent cerebral embolization was observed. The patient developed a TIA-associated hemiparesis and then, 2 days later, a transient visual impairment as a recurrent neurologic event. Of the 4 patients with cerebral hemorrhage, 1 with a prosthetic valve was receiving anticoagulant therapy. Cerebral hemorrhage was caused by a ruptured mycotic aneurysm of the median cerebral artery in 2 patients. In 1 of them, the aneurysm was not diagnosed until autopsy. Meningitis was present in 15 episodes, accompanying an intracerebral hemorrhage in 1 case and an ischemic brain infarction in 5 cases. The CSF culture was positive in only 2 episodes, yielding Streptococcus pneumoniae in both. The same pathogen was isolated in blood samples from these patients. Staphylococcus aureus organisms and β-hemolytic streptococci were cultured from the respective blood samples of 7 and 3 of the remaining 13 patients with meningitis. Symptoms designated as toxic encephalopathy were identified during 11 episodes. Toxic encephalopathy was associated with the disease of the aortic valve in 6 patients and with blood culture negativity in 5 patients. Prolonged severe headache was the only central nervous system manifestation during 7 episodes. During 8 disease episodes (15%), the patients had a severe headache for a few days before a more serious neurologic complication (eg, embolic brain infarction, TIA, rupture of a mycotic aneurysm, or meningitis) became manifest. One patient had multiple brain abscesses. In this patient, IE developed in association with chronic otitis media and mastoiditis. The relative contribution of the disease in different valves is depicted in Table 2. Among all 218 episodes of IE, the valves affected were identified by the presence of a major or minor Duke echocardiographic criterion combined with a new valvular regurgitant murmur(s) in 84 cases, by the presence of a major or minor echocardiographic criterion in 74 cases, and by clinical assessment in 52 cases. The valve(s) involved could not be identified in 8 patients, none of whom had neurologic manifestations. Neurologic manifestations were more common in episodes affecting native valves than in those affecting prosthetic valves, but the difference was not statistically significant (47/163 [29%] vs 8/55 [15%]; P = .05). The neurologic manifestations in episodes of prosthetic valve IE included cerebral hemorrhage in 1 case, embolic brain infarction in 1 case, toxic encephalopathy in 3 cases, and headache in 3 cases. Neurologic manifestations were more common in episodes of IE in both the aortic and the mitral valves than in episodes of IE in other valves: of all 16 episodes of both valves (including 1 case also affecting the tricuspid valve), 9 (56%) were associated with neurologic manifestations, compared with only 46 (23%) of the 202 episodes in other valve sites being associated with such complications (P<.01). The distribution of blood culture findings is shown in Table 3. Blood cultures yielded growth during 37 episodes (67%) with neurologic manifestations and during 86 episodes (53%) without these manifestations (P = .10). The organism most commonly associated with neurologic manifestations was S aureus, which was the pathogenetic agent in as many as 16 (29%) of the 55 episodes with neurologic complications but in only 16 (10%) of the 163 episodes without such complications (P = .001). No other single microbe was significantly associated with neurologic complications. The patients were receiving antimicrobial therapy when the first blood culture was obtained during 37 of all 95 culture-negative episodes of IE. Comparison of various characteristics of the IE episodes with and without neurologic complications is shown in Table 4. The mean ± SD ages of the patients in these 2 groups were 52 ± 17 and 55 ± 15 years, respectively. Vegetations on echocardiography were detected somewhat more often in episodes with neurologic complications than in those without neurologic complications (53% vs 45%). The vegetations were located on mechanical valves in 2 (4%) and 3 (2%) cases in the 2 groups, respectively. Vegetations were detected in patients who already exhibited neurologic complications on admittance as often as in those in whom the neurologic complications were seen later. Of the 29 vegetations in patients with neurologic manifestations, 3 were associated with a paravalvular abscess and 1 with a new dehiscence of a prosthetic valve. Of the 74 vegetations in patients without neurologic manifestations, 6 were associated with a paravalvular abscess and 1 with a dehiscence of a prosthetic valve. Of the 53 patients with neurologic manifestations, cardiac surgery was performed within 3 months of the development of the manifestations in 15 patients, involving valve replacement in 14 cases and valvular repair in 1 case. Nine of the 15 patients underwent surgery within 1 month, including 5 patients who were operated on within 2 weeks of the neurologic event. Indications for operative treatment are presented in Table 4. The neurologic complications in the surgically treated patients included embolic brain infarction (n = 5), meningitis (n = 4), TIA (n = 2), toxic encephalopathy (n = 2), cerebral hemorrhage (n = 1), and headache (n = 1). No neurologic deterioration was detected in any of these patients postoperatively. Valve vegetations were detected during the operation in 10 of them. Cardiac surgery was performed within 3 months of admission during 38 (23%) of the 163 episodes in which there were no neurologic complications. Indications for operative treatment in these patients are presented in Table 4. Valve vegetations were detected during the operation in 22 patients, 5 of whom underwent surgery within 5 days of the initiation of antimicrobial treatment. One patient with a ruptured mycotic aneurysm underwent acute evacuation of the intracerebral hematoma and, subsequently, a successful ligation and extirpation of the aneurysm. Embolisms outside the central nervous system were detected in 13 (56%) of the 23 episodes with major cerebral events and in 23 (42%) of all 55 episodes with neurologic manifestations; in 11 cases, multiple organs were involved. Embolectomy of a peripheral artery was performed on 4 of these patients. Significantly fewer events of peripheral embolization were encountered in patients without neurologic manifestations (24% vs 42%; P<.02), none of whom underwent an embolectomy. The overall number of noncardiac operations was also significantly smaller in this patient group (3% vs 16%; P<.01). Death rate within 3 months of admission was significantly higher in episodes with neurologic manifestations than in those without neurologic manifestations (24% vs 10%; P<.03) (Table 4). All 13 deaths in patients with neurologic complications were attributable to sequelae of IE: congestive heart failure in 8 cases and neurologic complications in 5 cases. The lethal neurologic manifestations included intracerebral hemorrhage in 2 patients and embolic brain infarction in 3 patients. The mortality rate was 50% (2/4) in episodes of cerebral hemorrhage, 31% (4/13) in episodes of embolic brain infarction, 30% (3/10) in episodes of TIA, 27% (3/11) in episodes of toxic encephalopathy, and 11% (1/9) in episodes of meningitis. A simultaneous infection of the native aortic and mitral valves was associated with a poor prognosis: as many as 5 (56%) of the 9 patients with such a condition died, compared with only 8 (17%) of the 46 patients with IE affecting other valves (P<.05). Among the patients with neurologic complications, no difference in mortality was observed between those with native and prosthetic valve disease (23% and 25%), nor was there any difference in mortality between the episodes caused by various microorganisms. The 3-month mortality rate was slightly higher for the medically treated episodes than for those treated surgically (25/165[15%] vs 5/53 [9%]). In patients with neurologic complications, the IE-associated mortality rates in the medical and surgical treatment groups were 25% (10/40) and 20% (3/15), respectively. All 3 surgically treated patients with a fatal outcome died of cardiac causes, 1 patient during the operation and 2 patients 14 to 19 days after the operation. In patients without neurologic manifestations, the mortality rate was 12% (15/125) in the medical treatment group and 5% (2/38) in the surgical treatment group. Both of the 2 surgically treated patients with a fatal outcome died during the operation. Of the 17 patients with a fatal outcome who had no neurologic complications, 13 died as a result of sequelae of IE and 4 of other causes. The surgical (1-month) mortality rate was not significantly higher for the patients with neurologic complications than for those without such complications (20% vs 5%; P = .30). There was no difference in the number of neurologic manifestations between the 58 episodes of IE in patients who were receiving peroral anticoagulant therapy on admission and the 160 episodes in those patients who were not (21% vs 27%; P = .50). Death occurred during 11 episodes (19%) with anticoagulant therapy and in 19 episodes (12%) without such therapy (P = .30). The association between anticoagulant therapy and mortality was also evaluated separately for the patients with S aureus IE. Of all 32 patients with S aureus IE, 57% (4/7) of those receiving anticoagulant therapy and 20% (5/25) of those not receiving such therapy died within 3 months of admission (P = .10). Of the 4 patients with lethal S aureus IE who were taking anticoagulant therapy, only 2 died of hemorrhagic conditions, while 2 others died of acute heart infarction. The high frequency of neurologic complications in association with IE constitutes an important clinical problem because of the serious associated morbidity and the high mortality rates. In agreement with the results of many studies performed during preceding decades,1,3 the mortality rates in our study were significantly higher in those patients who had neurologic complications than in those who did not (24% vs 10%; P<.03). Accordingly, the results of the present work support the contention that the overall prognosis of IE would be improved if the occurrence of neurologic complications could be reduced. For many reasons, this goal is difficult to accomplish. First, most neurologic complications have already become evident on the admission of the patient to the hospital or develop during the early hospital stay.1,4,22-24 Correspondingly in our patients, a neurologic manifestation was the first sign of IE in 26 disease episodes (47%). Second, the probability of these complications is known to rapidly decrease after antimicrobial treatment has been started, presumably owing to stabilization of the vegetations during the healing process.25,26 This tendency was also verified in the present study, with only 24% of all neurologic complications becoming manifest after the initiation of antimicrobial treatment. Third, recurrent neurologic events are generally quite uncommon.1,4,22-24 This experience is consistent with our finding of only 1 recurrence in the 53 patients with neurologic manifestations. These data show that rapid diagnosis and initiation of antimicrobial therapy are still of major importance in preventing the development of neurologic complications in association with IE. An important question remains as to whether other measures are effective and safe in preventing neurologic complications during a later phase of the disease. Regarding the potential risk factors for the development of neurologic complications in patients with IE, a major concern has been focused on the prognostic value of vegetations visualized on echocardiography. Indeed, a number of studies have shown the frequency of major embolic events to be significantly higher in patients with vegetations on echocardiography than in those with no vegetations.14,27 Moreover, the size and nature of the vegetation may be of even greater importance than the mere presence or absence of a vegetation. According to Mügge et al,15 patients with large (diameter >10 mm) vegetations have a significantly higher incidence of embolic events than those with small (diameter ≤10 mm) vegetations, particularly in a subgroup of patients with native mitral valve infection. Nevertheless, these findings are controversial, since the association between the presence or size of vegetations and the occurrence of neurologic complications has not been confirmed by some other authors.4,23,26,28 In the present work, a minor trend (53% vs 45%) toward a higher incidence of neurologic complications was observed in patients with echocardiographically recognized vegetations. However, as only transthoracic echocardiography was performed during 56% of all disease episodes and the echocardiographic diameter of the vegetation was rarely measured, no unequivocal information on this issue was produced. The major advancement in the echocardiographic techniques during the long study period may also have biased the results. For the time being, opinions differ as to whether early valve surgery could prevent the development of neurologic complications in patients with echocardiographically visualized vegetations, thus improving their prognosis. Many authorities consider that the presence of a vegetation, in and of itself, is not an indication for operative treatment.14,28,29 Yet others believe that large vegetations with a diameter greater than 10 mm may be an indication for early valve surgery.15 In none of our patients was a vegetation considered the main indication for operative treatment. On the other hand, vegetations were detected during cardiac surgery in 22 patients without neurologic symptoms. Still, the potential benefit afforded by the valve replacement in these patients remains unknown, since only 5 of them were operated on within the first week of the initiation of antimicrobial therapy, when embolization is most likely to occur. It is evident that such an effect could be established only in controlled prospective trials in patients with IE and vegetations who were operated on early in their course of disease while they were still susceptible to embolic events and subsequent neurologic complications. Whether surgery is warranted to prevent recurrent stroke in patients with embolic events was previously a matter of some controversy. At the present time, most authorities agree that 1 episode of embolization is usually not an indication for valve replacement owing to the infrequent nature of recurrent emboli during controlled infection.4-7,23 Again, this theory is supported by the finding of only 1 recurrent cerebral embolization in the patients in the present study. The pertinent position of a neurologic event as a contraindication or indication for cardiac surgery continues to be debatable. While involvement of the central nervous system may constitute a relative indication of early valve replacement,16 heparinization and hypotension during open heart surgery potentially aggravate the neurologic injury.5,30 To some extent, evidence regarding this topic is contentious. According to the experience of Zisbrod et al31 with 15 patients, cardiac surgery can be safely performed even after a recent neurologic attack. In another series involving 45 patients with left-sided IE and cerebral septic emboli who underwent valve replacement, the presence of a hemorrhagic infarct preoperatively predisposed the patients to perioperative stroke, whereas an ischemic infarct did not.32 Furthermore, Jault et al33 reported on 247 patients who were operated on for active native valve endocarditis: the preoperative neurologic complications diagnosed in their 26 patients had no influence on operative mortality. The authors postulate that the favorable result may be explained by their practice to delay the operation in patients with a brain hemorrhage. Recently, Parrino et al34 evaluated the outcome in 33 patients with IE and neurologic manifestations, 14 of whom underwent surgery and 19 of whom were treated medically. The mortality rate in the medical group was higher than in the surgical group, although not significantly so (42% vs 21%; P = .21). In the present study, the surgically treated patients fared slightly better than those treated conservatively, with respective mortality rates of 9% and 15%. A similar tendency also was observed in the subset of patients with neurologic complications. Although the surgical mortality rate in these patients was higher than in those without such complications, this finding probably reflects a more severe nature of infection in the former group, as indicated by the higher proportion of patients with S aureus IE and involvement of both left-sided valves. It is also interesting that all 3 surgically treated patients with a fatal outcome died of cardiac causes and that none of the 12 survivors exhibited neurologic deterioration postoperatively. Collectively, these data strengthen the validity of the concept that a patient should not be denied cardiac surgery exclusively on the basis of a neurologic event.34 Yet, in patients with IE-associated intracranial hemorrhage, it is obviously prudent to postpone surgery because of the high risk of fatal complications. Also, the fact that 2 of the 4 patients with cerebral hemorrhage in our series died emphasizes the unfavorable prognosis associated with this clinical entity. Autopsy revealed a mycotic aneurysm in 1 of the patients with a fatal outcome. Cerebral aneurysms leading to hemorrhage are a distinct possibility, especially during anticoagulant therapy. 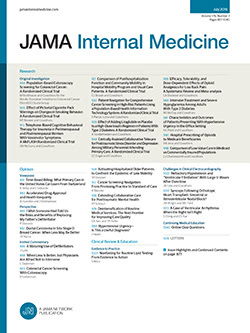 It is now commonly advocated that all patients who undergo valve surgery during acute endocarditis, requiring heparinization and subsequent peroral anticoagulant therapy, should be examined to exclude the possibility of a mycotic aneurysm.2 We have not yet adopted this policy in neurologically asymptomatic patients because of the minor risk of the rupture of an unsuspected mycotic aneurysm.35 Moreover, several authors have observed that during the bacteremic phase of S aureus IE, patients are inclined to develop early brain hemorrhage.11,23,36 In a recent analysis of 56 patients with left-sided S aureus IE, Tornos et al17 noticed that peroral anticoagulant therapy at the time of diagnosis was closely associated with death due to neurologic damage. On this basis, they recommend that as soon as this diagnosis is indicated, the use of anticoagulant therapy should be immediately stopped until the septic phase of the disease is overcome. We made efforts to evaluate this important topic in the present study, but failed to confirm the detrimental effect of anticoagulant therapy in our patients. In conclusion, neurologic manifestations of IE mainly occurred before antimicrobial treatment was begun, thus reinforcing our belief that rapid diagnosis and initiation of antimicrobial therapy may still be the most effective means to prevent neurologic complications. These data underscore the importance of diagnostic alertness to the prognosis of patients with IE. Accepted for publication January 6, 2000. This study was supported by the Ida Montin Foundation and the Turku University Foundation. Reprints: Maija Heiro, MD, Department of Medicine, Turku University Central Hospital, Kiinamyllynkatu 4-8, 20520 Turku, Finland.